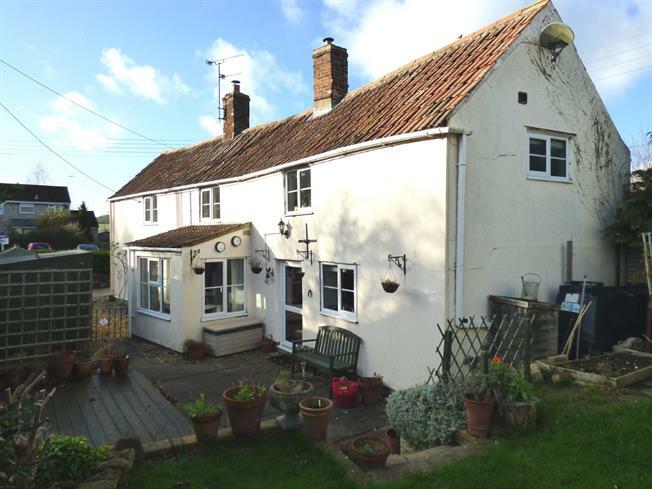 3 Bedroom Detached Cottage For Sale in Martock for Offers in excess of £300,000. Detached three bedroom cottage with a wealth of retained features, exposed beams, stone and brick work. Arranged over two floors the cottage comprises, kitchen/breakfast room with oil fired 'Rayburn' and deep 'Belfast' style sinks, dining room, sitting room with wood-burning stove, three double bedrooms and a family bathroom. There is an enclosed garden with seating areas and a lawn. Off road parking for numerous vehicles. UPVC double-glazed windows to both the front and rear elevations, fitted with a range of panel fronted base and wall mounted units, laminate work surfaces, tiled splash backs, twin deep ceramic 'Belfast' style sinks with a period style mixer tap, Rayburn oil fired range providing hot water, central heating and cooking facilities, inset to a full height red brick fireplace, exposed Hamstone work to wall and beamed ceiling, bespoke carved wood and shaped breakfast bar, plumbing for washing machine and dishwasher. Wide and deep bay window with uPVC double-glazed casements, further uPVC double-glazed window to the rear elevation, staircase ascending to the first floor with a cupboard beneath, wooden flooring, built-in cloak cupboard, radiators. 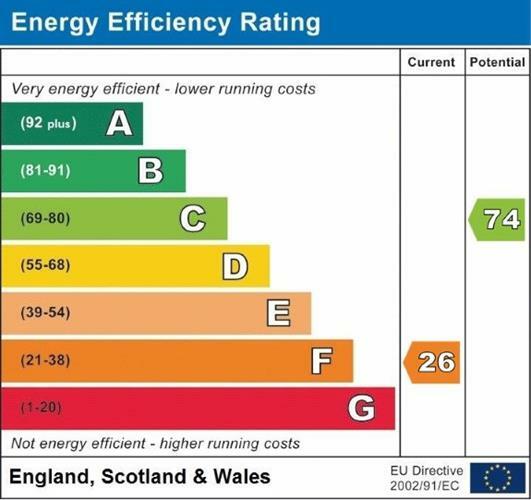 UPVC double-glazed windows to three sides, full height brick-built fireplace with flagstone hearth and inset multi fuel burning stove, radiator, coved ceiling. UPVC double-glazed windows to the front elevation, exposed brickwork to staircase, radiator. UPVC double-glazed window overlooking the village and further uPVC double-glazed window to the front elevation overlooking the garden, exposed brickwork, access to loft, built in wardrobe with panelled fronts, hanging rail and shelving, two radiators. UPVC double-glazed window to the front elevation overlooking the garden, exposed brickwork, access to loft space. UPVC double-glazed window to the front elevation, airing cupboard housing hot water tank and immersion, shelving. UPVC double-glazed window to the side elevation, suite comprising deep panelled bath, cubicle with shower, pedestal wash hand basin, low-level W.C, tiled splash backs, ladder style heated towel rail, radiator. Situated to two sides of the property, laid to lawn with decked and paved seating areas, established trees and flowering shrubs, well stocked flower and shrub borders, two sheds and timber built summerhouse. Parking for numerous vehicles on gated raked gravel driveway, external lighting.